A 17-year-old boy detained in connection with an investigation following the death of two people in Ipswich has now been released under investigation. Officers were called on Wednesday 6 March at 5pm to reports that a woman’s body had been discovered in a property on Swinburne Road. A young boy also found at the premises was treated by paramedics but sadly died at the scene. They were formally identified as 19-year-old Kia Russell and her son, 2-year-old Kamari Russell who both lived at the address in Swinburne Road. Home Office post-mortem examinations carried out on Tuesday 12 March concluded that Kamari Russell died as a result of compression of the neck, pending further tests. His death is being treated as murder. As a result of subsequent enquiries connected to the investigation, a 17-year-old boy from Ipswich was arrested by police and taken to Martlesham Police Investigation Centre. He was bailed to return to police on Friday 29 March but has now been released under investigation whilst enquiries continue. Two people who died in Ipswich last week have now been formally identified and post-mortem examinations have taken place. Officers were called by the East of England Ambulance Service, on Wednesday 6 March at 5.00pm to reports that a woman’s body had been discovered in a property on Swinburne Road. A young boy also found at the premises was treated by paramedics but sadly died at the scene. They have now been formally identified as 19-year-old Kia Russell and her son, 2-year-old Kamari Russell who both lived at the address in Swinburne Road. Home Office post-mortem examinations have been carried-out today Tuesday 12 March and concluded that Kamari Russell died as a result of compression of the neck, pending further tests. His death is being treated as murder. The families involved are being supported by specialist officers. Detectives do not believe that there is anyone else directly involved with this incident and the investigation into the deaths continues. Anyone with information about this incident is asked to contact Suffolk Constabulary on 101 quoting 37/12929/19. Pending formal inquest proceedings, police believe the identities of the two people found deceased at a property in Swinburne Road in Ipswich are two-year-old Kamari Russell, and his mother, 19-year-old Kia Russell. Officers were called by the East of England Ambulance Service, yesterday, Wednesday 6 March at 5.00pm. Both Kia and Kamari were treated by paramedics but sadly died at the scene. Home Office post-mortem examinations on both people are due to take place on Tuesday 12 March. Police Family Liaison Officers are supporting the family. 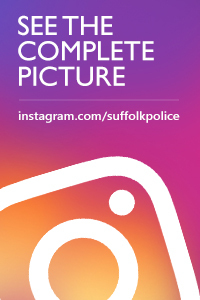 As a result of subsequent enquires connected to the investigation, a 17-year-old boy from Ipswich was arrested by police and taken to Martlesham Police Investigation Centre. He has been bailed to return to police at 10am on Friday 29 March 2019. At this early stage of the investigation police can confirm that initial enquires indicate that there is no third party involvement. Anyone with any information is asked to call Suffolk Constabulary on 101 quoting 37/12929/19. Police have launched an investigation after the sudden death of a woman and a child at an address in Ipswich. Officers were called by the East of England Ambulance service, today, Wednesday 6 March at 5.00pm to reports that a woman’s body had been discovered in a property on Swinburne Road in the town. A young child also found at the address was treated by paramedics but sadly died at the scene. Next of kin for both people have been informed. A police scene is in place whilst an investigation into the circumstances of the deaths continues. As a result of subsequent enquires connected to the investigation a 17-year-old male youth from Ipswich has been arrested by police. He has been taken to Martlesham Police Investigation Centre where he will be questioned by officers. Anyone with any information is asked to call Ipswich CID on 101 quoting CAD reverence 284 of today, 6 March.